Winter Session runs November 12, 2018 – March 31, 2019, a 17 week session! No winter session classes for Thanksgiving and Winter Holiday Breaks. Click on a program to see details below. Come out and play this basketball season as 3Point Athletic’s team of engaging and knowledgeable instructors create a productive, positive and fun basketball experience for everyone! Players will have one weekday practice that will include drills and activities to help improve in all skill components of the game, both individual and team concepts. The one-hour games held on Saturdays between 11:00am – 2:00pm provide guaranteed playing time for all players. Register for your desired individual practice time. Please note: players will be placed into appropriate skill level groups per coach discretion. Come out and play this basketball season as 3Point Athletic’s team of engaging and knowledgeable instructors create a productive, positive and fun basketball experience for everyone! Players will have one weekday practice that will include drills and activities to help improve in all skill components of the game, both individual and team concepts. The 45 minute games held on Saturdays between 10:00am – 12:00pm provide guaranteed playing time for all players. Register for your desired individual practice time. Please note: players will be placed into appropriate skill level groups per coach discretion. With 10 years of experience running quality, instructional youth basketball programs in Chicago, 3Point Athletics is excited to bring their dedication to the Menomonee youth basketball leagues. Knowledgeable coaches will run weekly clinics and games focusing on fundamental individual and team concepts of the sport, with the ultimate goal of overall improvement during the season. 3Point is committed to keeping each player excited about learning and participating in the sport. All players will have guaranteed playing time as we help build their confidence with a positive teaching approach and stress strong work habits and sportsmanship to improve their character on and off the court. Practices are once a week and games are Saturdays between 1:00 – 3:00pm . Register for your individual practice time. Please note: players will be placed into appropriate skill level groups per coach discretion. Come join the Lil’ Kickers staff as they teach boys and girls the ins and outs of soccer. Individual skill training is enhanced through sportsmanship and teamwork concepts. Participants are divided into age-appropriate groups and each grade level is taught skills appropriate to their age. Shin guards recommended. This class is all about color, imagination and innovation. In the world we live in, creativity is one of the most important skills. This class is all about the process and being creative in a group setting. We work with several mediums of paint such as acrylic, watercolor and oil. We also study famous artist and inventors as well as important techniques. The class is concentrated on building self-confidence, curiosity and wisdom. Each class we work on a different colorful creation, sculpture or invention. Taught by Aneliya Chalakova of Seventh Green Circle. is visual arts class that focuses on design, fine art, environmental awareness and creative thinking. The club serves as a detailed introduction to the unparalleled possibilities for creating and manipulating shape and design elements while becoming a mindful creative adult. Green Kids Club provides development of critical thinking skills, technical proficiencies, and appreciation for both human and nature. Enduring idea: The relationship between people and nature is reciprocal. Key concepts: Nature impacts human endeavors. The human population affects natural systems and people are part of an open system and must live in balance. Goal: Green Artists Who Are Making Climate Change And Conservation A Priority. Taught by Aneliya Chalakova of Seventh Green Circle. Kids will learn how to play chess and master their technique. Students will be taught by world-renowned chess coaches. They will learn very cool openings, midgames (with all the pins), double attacks, endgames, and other fun things in chess…even bug house and a camp tournament! Join us for some home cooking! We’ll prepare seasonal dishes – desserts and appetizers, while teaching basic knife skills. We’ll learn about the produce & spices in our recipes and will occasionally play restaurant! Taught by Robin Schroud and Sarah Schroud Hayes. Private lessons available in weekly 30-minute and 60-minute blocks in piano and voice. Voice-lesson students must be ages 10 & up. Taught by qualified local musicians. Days and times arranged; all ages and skill levels are welcome! To arrange a day and time for your lesson, please contact Erica Greiner, Program Director, by email. Please indicate two preferred practice days and times. Chicago Fit Performance provides high-quality personal and boot camp training. Whether you want to lose weight, lose inches, get stronger, increase your metabolism, improve your nutrition, or just improve your overall health and fitness, our expert team of certified, educated and supportive personal trainers is committed to providing the right game-plan through every aspect of training, nutrition and lifestyle to reach your desired goals. Our scientifically designed personal training and boot camp programs offer the most efficient and effective way for you to maximize your results and take full advantage of our expert fitness coaching. Our mission is to help you reach all your health and fitness goals, just like we’ve helped hundreds of your neighbors in Chicago. We offer fat-burning, metabolic-resistance workouts, which are like nothing else you’ll find in the area. 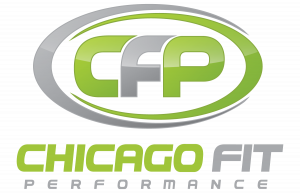 Call us at 312-890-2668 or visit us at www.chicagofitperformance.com. 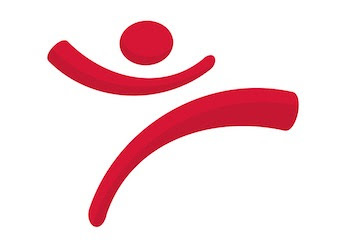 3Point Athletics’ dedicated instructors will conduct weekly 45-minute clinics as an introduction to basketball and physical fitness for you and your children. Classes will be adult interactive as participants learn the fundamentals of the sport with an emphasis on dribbling and ball handling. Classes will include basic footwork and hand-eye coordination drills and games, as well as learning the importance of teamwork and sportsmanship. For more information or to register for a class, visit www.3pointathletics.com. This session, our chefs-in-training will learn how to make a variety of healthy, delicious and fun recipes, including Orange Chocolate Tarts, Zucchini Flat Bread, Avocado Brownies, Asparagus Fries, Veggie Nuggets, Key Lime Pie, and Strawberry Danishes. We will travel across the globe to learn about the cuisines and cultures of Mexico, Spain, and Asia. Our little chefs will develop a knowledge of kitchen safety and fundamental cooking techniques, including peeling, breading, blending, melting, slicing, dicing, and chopping, and more! Lil’ Sluggers is a child development program created to introduce children ages 2-6 to the game of baseball. Classes develop important baseball skills such as throwing, catching, hitting, and base running. Developmentally appropriate equipment and games are used to teach your child the game in a fun, exciting, and positive environment. Teamwork, cooperation and good listening skills are also introduced and developed over the course of each session. Call to register at (312) 945-1585 or visit www.lilsluggerschicago.com. SPORTS, TEAM-BUILDING AND MORE: whether you are new to Game On! or returning, join our signature GirlStrong multi-sport class and explore and play different sports every few weeks. We may play volleyball, lacrosse, softball, tennis, soccer, basketball and more in a FUN, empowering, and caring environment. Every girl will leave each class with an enhanced sense of what it means to be strong in body, mindandteam and experience the joy in sport. Lil’ Kickers is a non-competitive, introductory soccer and movement skills program for boys and girls ages 18 months to 5 years. In Lil’ Kickers we don’t just teach soccer to kids, but use soccer to teach kids about teamwork and cooperation. Lil’ Kickers is the ultimate child development program. For more information or to register for a class, visit the Lil’ Kickers’ website at www.lilkickerschicago.com. The Caring for Kids program provides year-round adaptive sports and recreation programs including two 4-week summer camps for youth ages 7–17 with physical disabilities. Caring for Kids also offers weekly judo in partnership with the Menomonee Judo Club on Saturdays. The program also provides dance, yoga and karate classes at the Drucker Center through Yoga for the Special Child and Thousand Wave Martial Arts and Self-Defense Center. For more information and registration, visit www.sralab.org or call 312-355-2253. • Inspire students to fall in love with learning and discover their purpose. More than just a college prep education, GCE cultivates global citizens. For more information visit us at www.gcelabschool.com. First Class Hoops is Chicago’s premier private basketball training program, teaching kids to maximize their abilities to succeed in basketball and beyond. The development and enhancement of critical basketball fundamentals is emphasized in weekly, small group, game situation settings designed at increasing court awareness and presence. An independent player assessment of each child’s skills and progress is provided, featuring honest feedback by coaches that understand the game and know your child. For more information go to our site www.firstclasshoops.com. Mandala is excited to bring Contemporary Indian Dance to Menomonee Club! Our cornerstone is “Asian tradition meets modern flair,” and we will create new connections with ancient traditions through movement and rhythm. Students will learn dance technique to strengthen their exploration of new sounds and media and work towards original choreography. Mandala South Asian Performing Arts is a non-profit organization that raises the profile of the incredible art forms spanning Persia to the Himalayas and Thailand to Indonesia. Visit http://mandalaarts.org/ to learn more about our work.